W u n d e r b a r W o n d e r B a l m ! So it was my Birthday in Feb (the 10th to be precise) and 2 of my wonderful friends, very kindly subscribed me to Elle Mag for a whole year! I KNOW! What an amarrrzing present! A few weeks later I came home to find my first issue had landed! YESSS! And better still- I had a lovely little freebie in there too! 1. Applied a small amount to towel dried hair- the balm acted as a sort of “foundation” for the styling which was to follow! 2. Worked from roots to the ends. 3. Blow dried- in my usual lazy manor! Summary: It does exactly what it says on the tin! (Or tube) My hair instantly looked shinier, felt softer, my layers were more defined, and also- this is rare for me– looked quite very voluminous!! It doesn’t weigh hair down as I initially thought it would, but at the same time, it feels protected!.. which is somewhat of a necessity for me as I then go on to curl my hair with straighteners which takes a go few goes before I can leave the house! 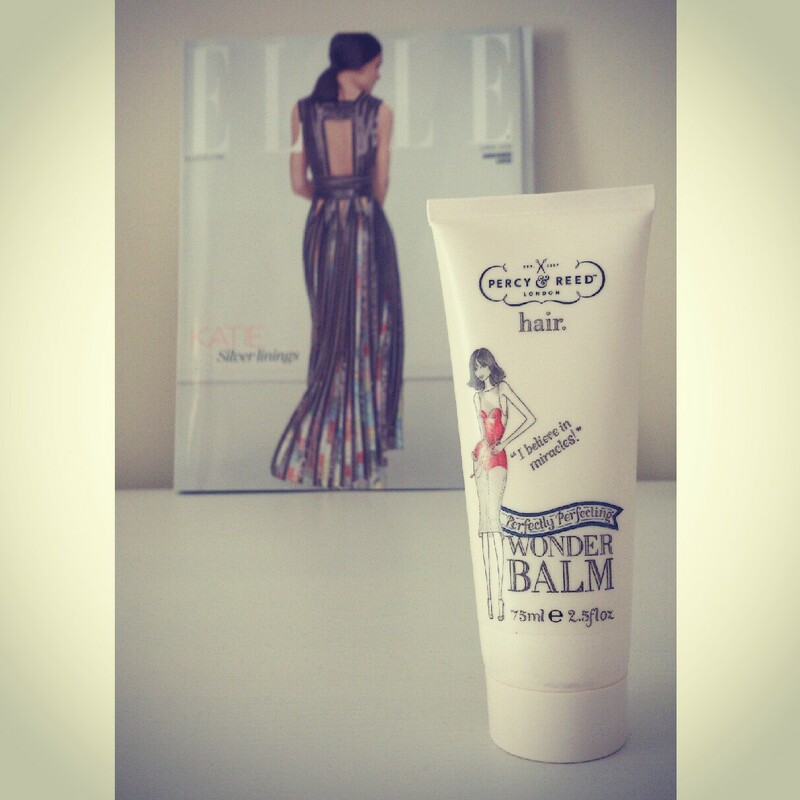 The Wonder Balm is also Percy & Reed’s “Product Of The Month” with Adam Reed claiming it is “a product that makes hair the best that it can be”- I’d snap some up before the shelves are empty! The products RRP is £18 which is very very reasonable considering how little you have to use at one time and how good it makes you feel! All in all an excellent first issue treat from Elle! FAAAAABLUSSSS darling!! 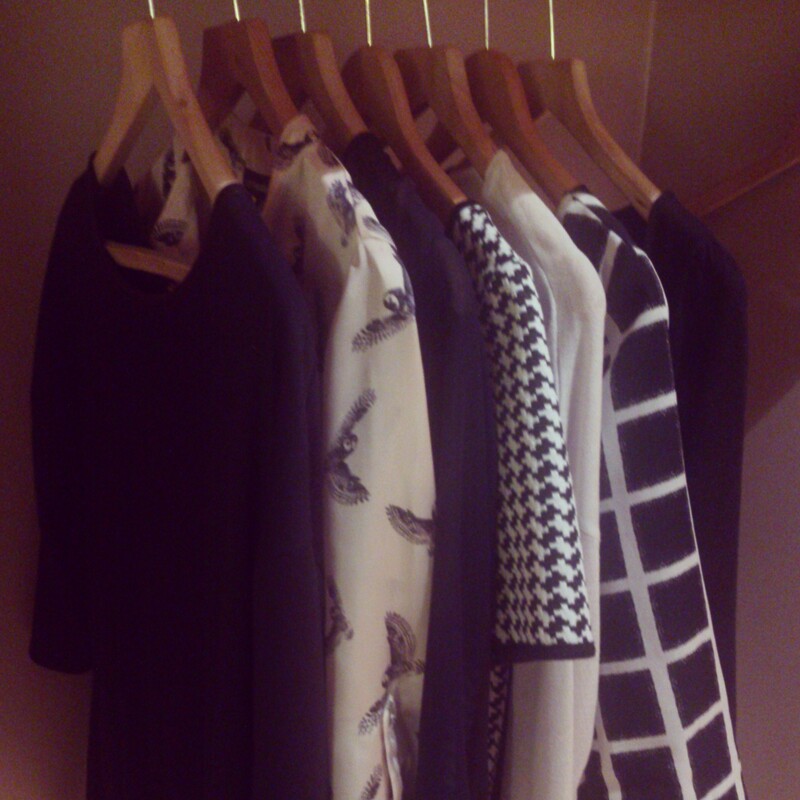 Owl print, houndstooth, checkered, blocked… if it’s monochrome, I got ittttt! Okaaay so on a recent work trip to Belfast, I realised that my obsession for monochrome has got slightly out of hand as every item I took for the 5 days I was there was either black, white, or black AND white! Then I thought… SOD IT! It’s such a great trend! So versatile and anyone can pull it off! I can’t get enough of it! 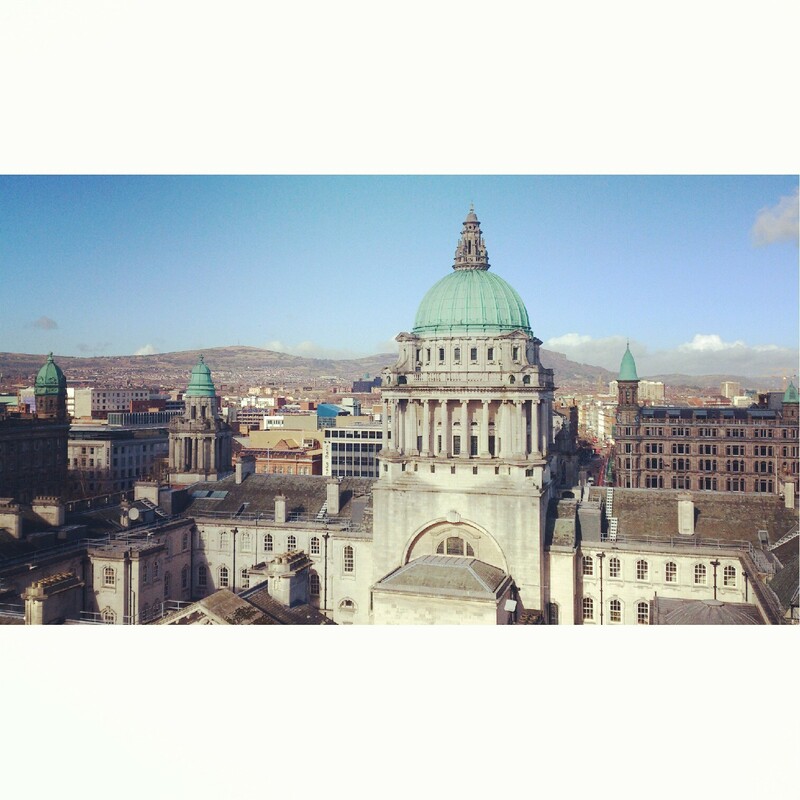 My view from the office: Sunny Belfast! We all know what New Year means?? SALES! I am an absolute SUCKAAAA for a bargain (my friends are probably sick to death of me playing “Guess how much” with them) but this January I have even managed to surprise myself! Usually I’d be hitting the big stores/sitting at my laptop for days on end trawling through the high street shops determined to find a bargain! However, this year I’ve not really had the money to go wild (we moved house- HOORAY) so I tried VERY hard to stay away. Howeverrrr, one still has to visit the supermarkets to do her big shop! And when doing so I stumbled across these beauts…. All 3 items were very generously priced from the start but these prices are just too irresistible. I haven’t taken the coat off since buying it last week, it’s SO nice and warm, just what I need to see me through to the end of winter.. AND another tartan addition for my growing collection! The black ankle boots are super comfy and lets face it, they’re a staple! They go with anything. 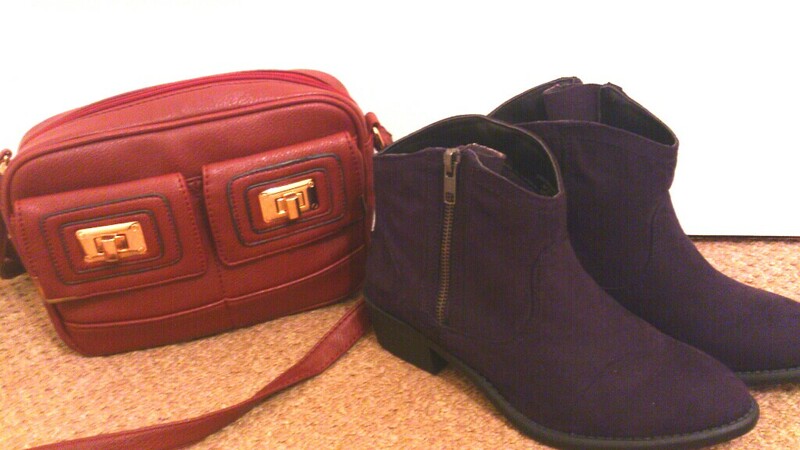 And the red shoulder bag adds a bit of colour to a darker outfit whilst being perfectly practical. I usually don’t even bother looking at the clothes section of supermarkets but after finding these gems, I definitely will be doing in the future. Give it a go! What January bargains have you found this year?